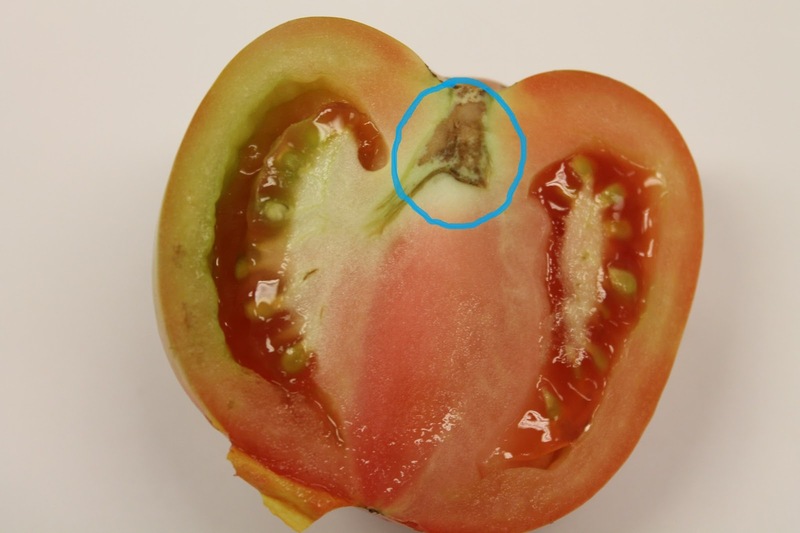 Tomato pith necrosis, a newly emerging disease of tomatoes, is caused by Pseudomonas corrugata and appears to develop when there are low night temperatures, high nitrogen levels and high humidity. The bacteria may be seed-borne but the epidemiology is poorly understood. Tomato pith necrosis has been found in the Nova Scotia greenhouse tomato crop this season. Early symptoms of this disease include wilting of foliage and chlorosis of older leaves. Dark brown to black lesions develop on the surface of lower stems (Picture 1). Vascular tissue may be brown. Adventitious roots may grow profusely from these symptomatic stems. It may resemble that of bacterial canker. 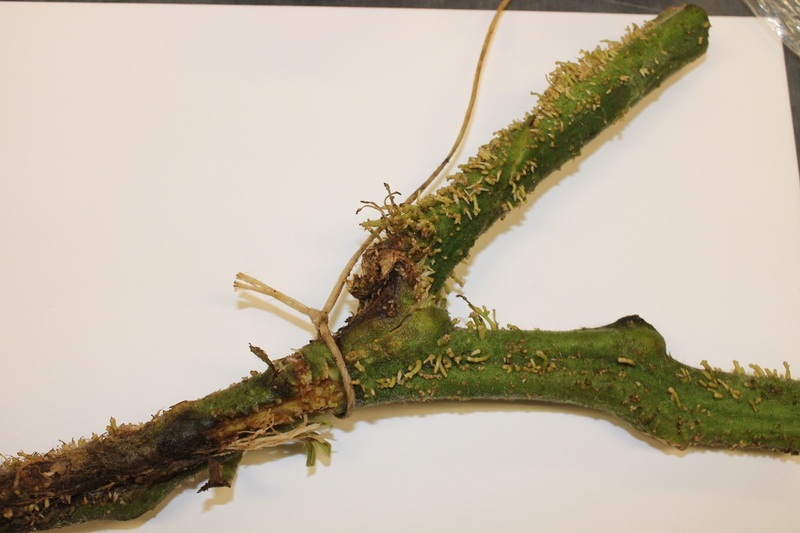 This disease may affect the fruit as well (Picture 2). Growers should avoid using excessively high nitrogen rates, should not use overhead sprinklers on field tomatoes, and remember to sanitize pruning shears. In field tomato, keep good crop rotation and control volunteer tomato and nightshade weeds.